What does your ignition system need to ensure a controlled, safe, and optimal combustion? How do you protect your ignition system from electrical surges? How do you protect your vehicle in case your ignitor malfunctions? 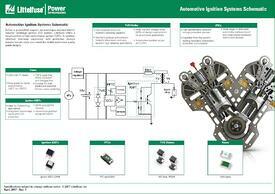 Learn more about how to best protect your ignition system by getting our free Automotive Ignition Systems Schematic.